Time For An Outside Audit Of The Weatherford/Parker County Animal Shelter ? Do you have first-hand experience involving the Weatherford/Parker County Animal Shelter that causes you to believe an audit is warranted? Could an audit be used to confirm an acceptable level of accountability as well as exposure of any possible wrongdoing? What do you think? Speak up – it’s your taxes! I think we’re entitled to more transparency from the city bureaucracy, and we shouldn’t have to spend money that could be going to caring for homeless animals to find out what city employees are doing at the shelter. That singular fact fuels my outrage — what are they hiding from us? One of our number has learned from a county commissioner that Parker County pays approximately 75% of the shelter’s annual budget. 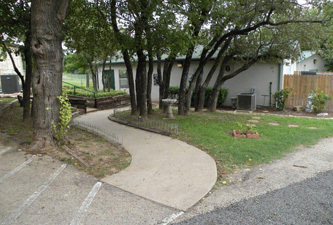 The city is responsible for running the shelter, but Parker County, like Springtown and the other municipalities that have contracts with the shelter, funds the bulk of its budget. The buck ultimately stops with the City Council, and perhaps this is the best venue for those of us who are being stonewalled by city employees to air our grievances and get answers. The Commissioners Court votes to approve all contracts such as this one, so those of you in the county should get in touch with your commissioner to voice your outrage over the way county funds are being used with no apparent accountability from anyone at the city. Stonewalling is SOP at the city in matters like the animal shelter. The current council has deaf ears toward anyone who complains about their management practices or ect. What will get attention is bad publicity and right now is an optimum time to Recall some elected counci members who will not listen. It has been done before and the timing is good to get the petition on the ballot for the next city election. Read the rules in the city charter and follow them closely–it will work. Bet there are a lot of city residents who will gladly sign, just like they did about the out of control electic rates in 2007 and 2008. They are removeable and need to be. This current mess is just one more to place at their door. Good luck, do us all a favor and run off at least Hamilton and Swancy. We could use your help and advice, Watcher. I have adopted within the last year a dog from the shelter. I was told the dog was a Boston terrier but CLEARLY this dog isn’t anywhere near close to that breed. In fact its a pit mix of sorts. It doesn’t matter now but that is my only link to them at this point. I do agree there needs to be some type of investigation due to I feel the community needs to see how in the world they can’t manage the shelter on $500,000.00 a year from the city. I mean Parker co inmates work their they have volunteers or rather had them till recent and they do get donations from any form of money to needed pet items. So where is the money going? Amy I am shocked that it is a Pit Mix……the shelter doesn’t like to adopt out pit mixes at all….and it is actually a sore spot with many rescuers who do not feel it is fair……But you are right about all the free help they receive……it was to the point that you rarely saw any shelter employees in the kennels……they only went outside the office to take a smoke break. volunteers and the trustees did much of the day to day…. Yes An audit is must. Why had there been a request from shelter to Parker Paws for $4000 to buy food? There is supposedly a truckload full of food at shelter from donations and the city has not touched the $4000 budget for food? Yeah an outside audit is needed for sure! I do not have first hand experience at this shelter, but I have volunteered for others. If it is the same as all the others, I as a volunteer, felt that I was providing better care than the “employees”. Most non profit rescues would be thrilled, and could do so much more than county shelters on a $500k annual budget. I think that an audit should be conducted, and it should be done my an independent agency. It is my understanding that Parker County Animal Shelter has determined that all Pit Bull dogs are to be euthanized upon receiving at the shelter. Not even animal rescue can save s Pit. There is a misconception about Pits brought on by ignorance of the breed and rather than trying to save a life, it has been deemed efficient to kill a dog just because of the breed. Many “non-criminal, tattooed, thug” types of people own Pits and are extremely happy with their dogs. Every dog deserves a chance to live, breed not withstanding. To view sn entire breed as “trained killers” is ignorant, slanted, uneducated, and garbage and anyone who subscribes to that philosophy is equally all of the above-and does not deserve the privilege of working with any animals, let alone one as loving and majestic as a Pit. Many are being told when they have tried to contact those at county level that this is a city issue concerning where the shelter funds are going… oh really? Where is the county accountability, when tax payers from the county are spending $433,512 in the budget for the Weatherford Animal shelter? Commissioners are you not accountable for our money? Tax Payers are concerned about many issues with this shelter and so you should be as well! The budgeted amount Parker County pays is $433,512. If you want a copy of the specific page from the budget, you can officially request a copy from the auditor’s office, located in the County Annex on Santa Fe Dr. Any other questions, don’t hesitate to contact me. Note to self: Stop multi-tasking and proof read oops! At first I thought an audit would be a good idea, however, I hate the thought of another $30,000 (or however much that would cost) being spent where the animals’ needs could suffer from that loss of revenue. I do think it’s time for elected city officials and county commissioners to answer questions and listen to complaints of the citizens and FOLLOW THROUGH with positive CHANGE. Old fashioned Dog Pound/Animal Control thinking needs to end. Those in charge who have power to make decisions of killing adoptable healthy pets need to get with the times, and quit the old way of doing things and their old ways of thinking. It’s time for actions to speak louder than words. The problems at this shelter have continued on for far too long and the animals are paying dearly, with their lives! I also want to know why, a professional vet was brought on staff and then was undermined in her judgement calls regarding the care, vetting and treatment she felt was needed. Who can answer me why her decisions were not supported by staff and city officials? Do they think they are better qualified to determine when a dog should be put down? Anyone remember the “POP quiz” from our school days? I am of the opinion that any entity that operates on public money is subject to an audit at any time. Maybe it’s time for a pop quiz?? Talk and complaining get nowhere. The way to get results is demand accountability from the city, ie. the CFO who is in charge of all the funds and disbursements. The upcoming city election is an excellent time to ask questions of those who are wanting to be re-elected. Elected officials are especially concerned about public perception of their past actions and votes. The rumor is that some of the management of the shelter has been reassigned to attempt to smooth over the mess before the election. Just saying that this mess is not new and has been ongoing for some time, maybe a decade. An outside audit of the funds and management actions for at least 10 years might be very informative. It is plain that the current leadership at the city does not want any such thing to happen. The bright glare of the facts will not be pleasant at all. Always look for the money and follow its trail when a stink occurs. You will find some very creative bookkeeping in this little drama. The more I dig, the more I find. Truck loads and trailer loads of food, cleaning supplies and pet needs are delivered to this shelter all the time. And not one single receipt is written. Not one thank you note. I think it’s high time that every pound of food, every gallon of bleach is accounted for when it is brought in. It’s time for these items to make it to their proper destination, helping the shelter animals, and NOT shelter staff’s personal animals. An audit isn’t gonna do any good. They have so many items coming into that shelter unaccounted for that there is no way to know the true numbers at that shelter. I have asked County Treasure for a break down of how the billed amount for their animal control contract is figured. I have yet to get that answer. Where does the city come up with that figure? I’d like to see the break down. I keep asking, but no answers have come forth. Not from Judge Riley, Jim Thorp or Jerry Blaisdell or Mayor Hooks. Nothing from city council has been reported to me either.